It was not until the Mongol leader, Genghis Khan, came to power that these many rules were collected and written down. 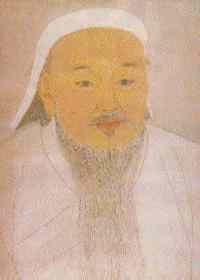 Genghis Khan (also spelled Chinggis Khaan) wanted to preserve good behavior and good management of self and family. He wanted to list the customs and traditions of all Mongolian tribes and nationalities in one place, to help pull them together as one people. He believed if every person grew up in a decent way - educated, just, fair, smart, energetic, honest, ethical - they would be successful in managing themselves, their home, their family, and whatever he needed them to do.